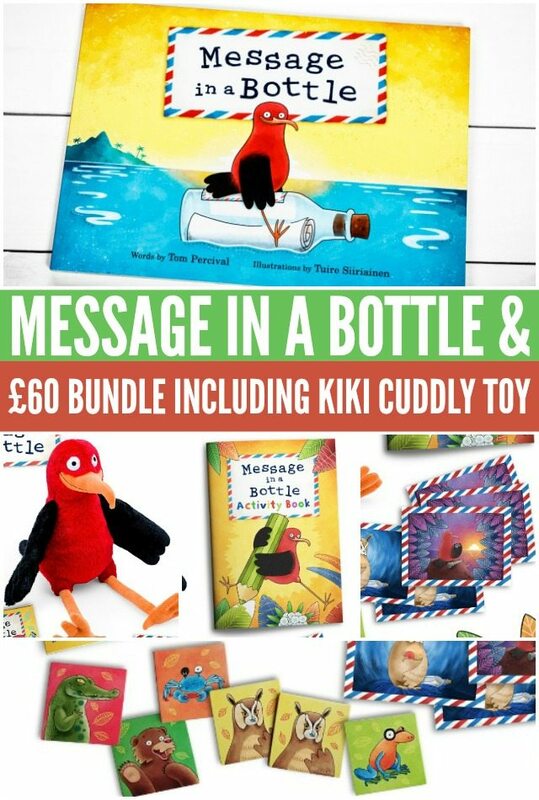 12 festive Christmas giveaways in 12 days is in DAY SIX and today you can Win a Message in a Bottle £60 bundle including Kiki cuddly toy. If you missed DAY FIVE – Win the How Cities Work book, there is still plenty of time to join the competition. 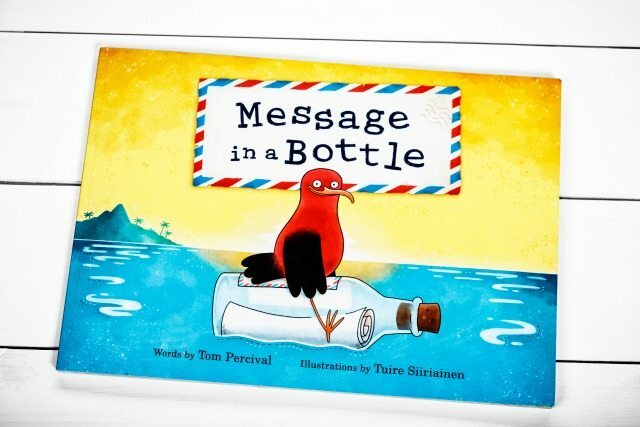 We are giving one lucky person a chance to with one copy of Message in a Bottle book personalised to the special child in their life! 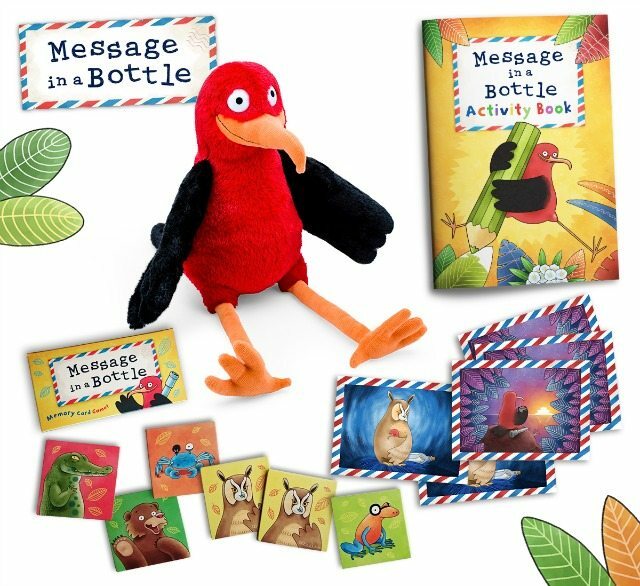 To make the gift even more special, we are adding to your pack a cuddly Kiki soft toy, a Message in a Bottle Activity Book and Memory Cards Game, and 5 Message in a Bottle postcards with a special discount to share with your friends and family. 5 beautiful Message in a Bottle postcards with a 15% discount code on them. So what is Message in a Bottle? It’s a new personalised children’s book where your loving words become the child’s adventure! 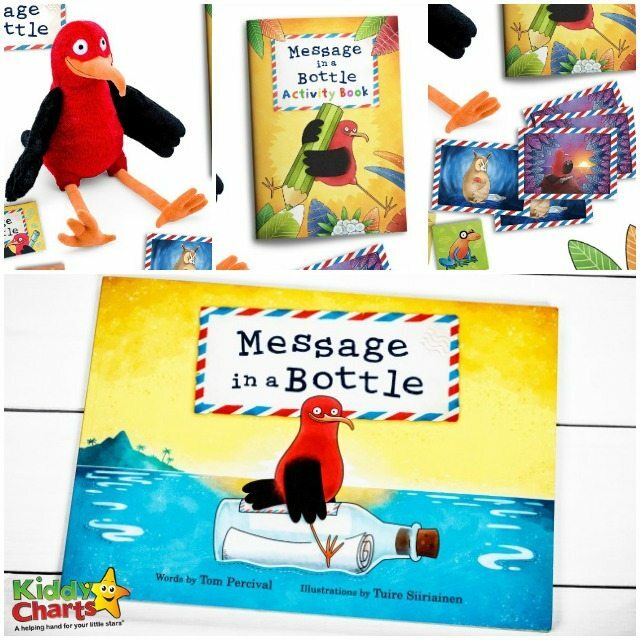 Create your message in a bottle, let Kiki the little brave Hawaiian bird find it and cross the world to deliver it to your child. But it won’t be an easy task to find the right way… You can take a closer look on our website: www.messageinabottlebook.co.uk. For Christmas delivery, please order your book before the 14th December (for deliveries outside of the UK, before the 12th December). Free shipping in the EU! This competition ends at 11.59pm on the 12th of December. We will announce the winner as soon as we can after the close date so that we can endeavour to get the prize out before Christmas. We cannot, however, guarantee this. All our standard terms and conditions apply, and this is for UK and Ireland delivery only. We do run a few others giveaways on the KiddyCharts at most times, so be sure to sign up to receive our advent newsletter so you don’t miss out on the new ones as we publish them all on our website.